Welcome to the city of Boston, located on the eastern seaboard of the United States of America. Boston is unique in that it is most probably the city that is responsible for the U.S. to exist in the first place. One of the oldest cities in the United States, Boston was founded on the Shawmut Peninsula in 1630 by Puritans from England. It was the scene of several key events of the American Revolution including what many consider as the starting factor, the Boston Tea Party when settlers, tired of the high taxes required by England, threw massive amounts of tea off of a frigate into the ocean. Cruise along Boston's Inner and Outer Harbor! Licensed and insured, multi-level harbor boat! Fully narrated cruise along Boston's Inner and Outer Harbor! Spot the Historic Landmarks of Boston! See Boston from the water! 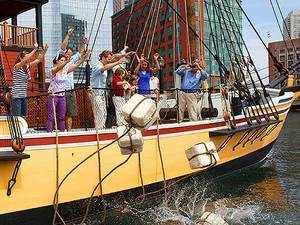 The Boston Historic Harbor Sightseeing Cruise Excursion is not only fun, but you'll learn a few things too. This is a fully narrated 90-minute tour of Boston's inner and outer harbor including the Cradle of Liberty! Round trip Trolley with on/off privileges! Comfortable and safe seats that allow panoramic views! 18 Stops are the best attractions and famous landmarks! Narrated route by your local driver/guide! Departures every 30 minutes from 09:00 AM to 04:00 PM! Photo and shopping opportunities along the excursion! Complimentary admission fee to the Old State House Museum! 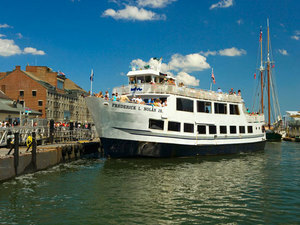 Free 45-minute cruise along the Boston Harbor! This Boston Hop On Hop Off Trolley Excursion is a super fun way to see the best of Boston and all of its highlights! Enjoy a looped route of the city where you can hop off at any or all of the stops then hop back on. Round trip from Boston Harbor to the Stellwagen Bank National Marine Park! 3-hour fast ride on aboard comfortable catamaran boat! Observation decks and enclosed climate-controlled cabin! 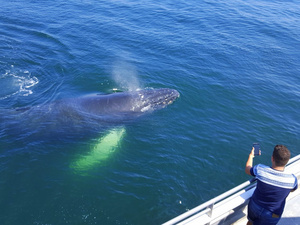 Enjoy this guided three-hour whale watching cruise will help you experience the best of New England's marine wildlife. Aboard a fast catamaran you will cruise to the Stellwagen Bank National Marine Sanctuary, the high speed of the catamaran helps guarantee that you will spend more time where the whales, dolphins and porpoises are sighted. The naturalist guide will help you spot the marine life with their keen eyes. Convenient meeting point in Boston! Sit on the famous park benches from Ted and Good Will Hunting! See the Dunkin Donuts features in the Town! Have a drink at the original Cheers! See one of Jack Nicolson's mob hangouts in The Departed! Discover the street of the Blown Away car crash! 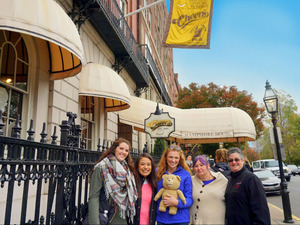 Boston Movie Mile Filming Sites Walking Excursion is a great way to see Boston while also recognizing sites from Boondock Saints, MTV's Real World, Cheers, and more. You will visit over 30 locations through Boston Common and Beacon Hill that you will recognize from the TV and Movie Screens. A local actor will be your guide, filling you in on all kinds of behind-the-scenes secrets and little known facts about the Boston filming industry. High powered speed Codzilla boat ride! Highly trained and certified Captain and crew! Enjoy wild maneuvers from 360 degree turns to nose dives! Speed up and reach up to 40mph! Free plastic bag and poncho! No matter if you are leaving for or returning from a cruise or just in Boston for the day, this “water coaster” is a unique and thrilling excursion. 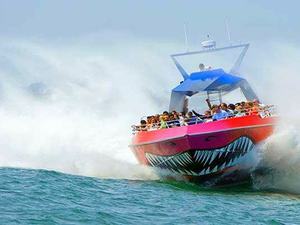 Aboard the Codzilla, a specially designed 70-foot long speedboat with two turbocharged diesel engines; with 2,800 HP you will fly across the surface Boston Harbor with speeds of up to 40 MPH! Be ready for a WET and WILD adventure. Lunch aboard the luxury Odyssey Cruise! Freshly cooked appetizer, entrees, hors d'oeuvres, desserts and more - Buffet style! Cash bar available for purchases on board! 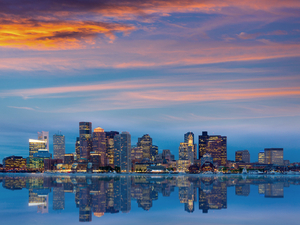 Narrated cruise of the Boston's breathtaking skyline! A bountiful brunch of breakfast and lunch items will be served while you take in the Boston City Skyline aboard a luxury yacht during the Odyssey Lunch Cruise Excursion. View the sites of Boston from the comfort of your private table or from one of the three climate controlled observation decks. You will cruise past many famous sites in Massachusetts Bay, including the Seaport District, Boston Light, the USS Constitution, Charlestown Naval Yard as well as 7 different islands. Entrance ticket for the Tea Party and Museum! Fully narrated, guided and interactive tour! Relive the events that lead up to the American Revolution! See Abigail's Tea Room and throw tea into the Harbor! Travel back in time to be a part of all the action...December 16, 1773 in the Boston Harbor became known as one of the most important events in the history of the USA. That night a group of colonists threw over 300 crates of tea into the harbor after becoming angry about the unfair taxation laws. Round trip Trolley from Boston downtown area! Fully narrated and guided excursion! Visit 2 of Boston's haunted cemeteries! 4 Stops to see the darker side of Boston! Photo opportunities along the excursion! 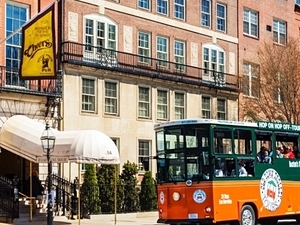 Hop on the trolley for a fun and unique visit of Boston. 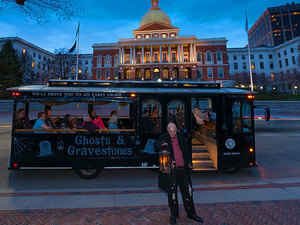 Visit 2 of Boston's oldest cemeteries, explore haunted locations, see the site of the public hangings, hear tales of the infamous Boston Strangler, the Angel of Death, Cotton Mather and more from your on-board ghoulish host. 2.5 - 3.5 hours fully narrated excursion! Experienced, local bike excursion guide! One guide per every 6 riders to keep it personal and safer! Bottled water provided by the guide! Great for all levels of riders! Child seats and trailers available upon request! Boston 6 to 8 Highlights stops (Historic Fenway Park, Christian Science Center, The Freedom Trail, Boston Common, etc)! 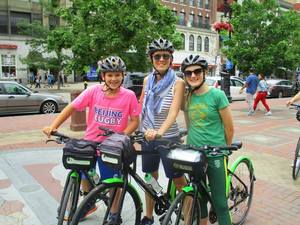 Enjoy Boston on this environmentally-friendly sightseeing ride on a guided bicycle ride excursion. Explore the historic landmarks to the quaint neighborhood streets on this guided view of the city. 90 minutes of guided Boston Freedom Trail Walking Excursion! Knowledgeable and costumed, local guides! 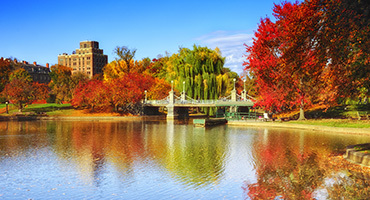 See the 16 highlights and historical treasures in the Boston Common! Enjoy a leisurely guided walk along the Freedom Trail. 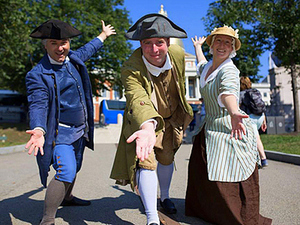 "Walk Into History" along the famous red line with an 18th Century Costumed Guides. Hear the tales of the brave men who helped establish the greatest democracy in the world. See 16 nationally significant historic sites. Entrance ticket for the Salem Witch Museum! Learn the history of the Witch Trails! Visit the most popular attraction of Salem at your own pace! 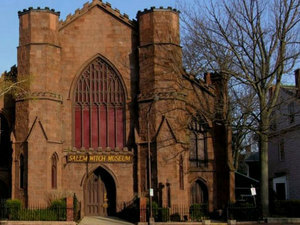 Go back in time at the Salem Witch Museum with the events that took place in the tranquil seaside community of Salem. On this Boston excursion, you will see and experience the "witch hysteria" with fascinating narratives, dramatic lighting and exhibits of the Witch Trials. 30-minute lesson and practice before the Segway excursion! 2-hour guided and narrated excursion! Knowledgeable and experienced, local Segway guides! Spot the best highlights of Boston, Charlestown, and Cambridge! 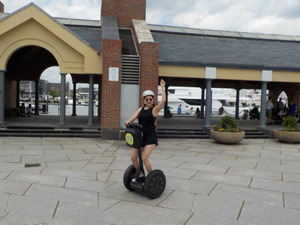 Enjoy a fun, full 2 hours on a guided Segway sightseeing excursion of Boston's best highlights including Freedom Trail, Boston Harbor, Charlestown, Beacon Hill, Cambridge and much more. All you can eat and drink, buffet style dinner! Narrated tour of Boston's breathtaking skyline! Spot the Historic Landmarks of the Boston City! 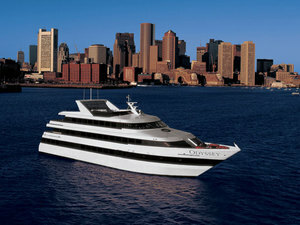 Enjoy the Boston skyline and many of its iconic landmarks while cruising the harbor. Live entertainment, dining and dancing, this is an unforgettable experience and the most unique way to celebrate an afternoon on one of America's most celebrated harbors. 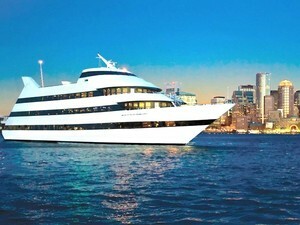 Cruise along Boston's Harbor for the sunset and sightseeing! USS Constitution, the oldest commissioned warship in the world! Sunset Serenade Military ritual and cannons firing! Spot the Historic Landmarks of Boston and beautiful New England sunset! Hop on board and experience the magnificent Boston skyline silhouetted with the golden colors of the sunset. This is a great way to wind up your day in port, send a romantic moment or celebrate a special event. See harbor highlights such as the USS Constitution's sunset serenade - sound the cannons and lower the flag.